It’s the end of May. I am tired. I just want it to be over already. I know my kids feel that way, and I have it on good authority, being married to a school administrator, that the staff does too. I just want to give up on school. So, I am. I am done. I have done my duty this year and I am done. Actually, I have to confess I have been in the process of “done” for a while now. Maybe even since Christmas. 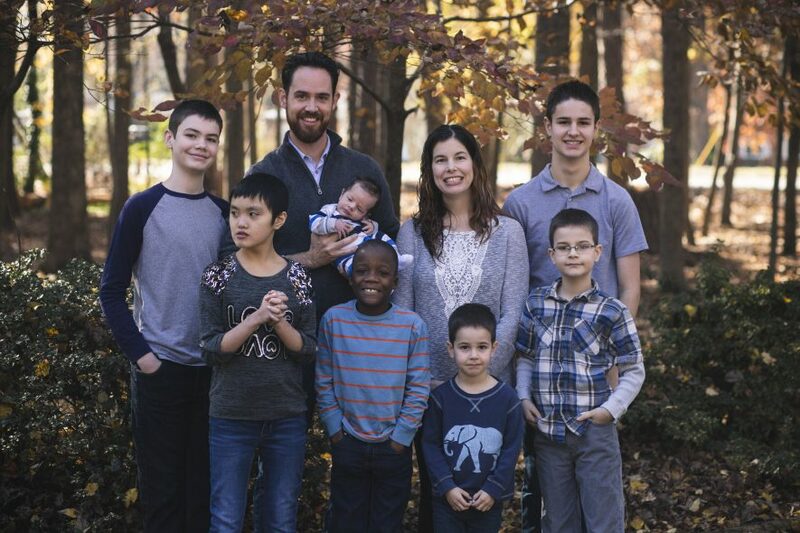 When my oldest son started school in 1st grade, we homeschooled for K, I also had a 4-year-old and a 6 month old and was pregnant with our fourth boy. I was determined to be a good school mom. I dutifully helped him with homework each day, I did projects and fundraisers. I did teacher conferences and school chorus performances all with two younger kids in tow. I was trying to be super mom. Then I had my fourth child, and let things slip for a while. Who am I kidding? I just couldn’t keep up. It was right about that time I was in Wal-Mart with all four boys and I was literally in pajamas and hadn’t combed my hair in I don’t know how long. My older boys were acting like fools running around the store, all the while I had a toddler trying to escape the cart and a screaming infant strapped to my chest. I was in the middle of doing the quiet yell through your teeth at your kids so no one else knows what you are doing, when a lady approached me and said, “Hey, I know you, you are Mr. Byrums wife.” And then proceeded to have a really long conversation about the school and how her kids loved it and on and on while I am desperately trying to keep my kids from running off or tearing the place apart but still looking like I might have it together, at least a little. It was at that point I realized I had a persona to keep up. I was Mrs. Byrum now, not just at school, but in the community. People knew our family, after all we are hard to miss. I never went to Wal-Mart in my pajamas again and tried to keep my kids in line without yelling, least anyone should overhear. I kept up with being super mom and dutiful wife for a few years there. It got a little harder to juggle it all when my second son entered school, with twice the events, homework and stuff to do, but I still managed to get it done. Everything was all well and good until this school year. This year my third son went to school, but not the same school my kids attend and my husband works at, but a preschool for exceptional kids. That meant three kids worth of performances, PTA”s and projects. But this time at a whole different location. It meant I’d spend 2 hours in the car daily to get kids to and from school. Then at Christmas time our daughter came home from Hong Kong. She is 11 and has severe intellectual disability. We decided she should go to the same school as our older boys, lest we add one more school to the mix. That meant four times the school stuff to keep up with but add IEP meetings, doctor visits and therapy sessions to all that. I realized quickly I could not keep up. I started missing things. I missed school projects, did the bare minimum of homework and just tried to juggle it all without tearing my hair out. I tried all the while to keep up the Mrs. Byrum persona as well. My daughter’s arrival humbled me. I was just simply not able to keep up with it all. Then there was a fateful day when my well constructed Mrs. Byrum persona was deconstructed at the hand of an 11-year-old girl. We have a special pick up procedure for our daughter after school everyday. She cannot handle the regular car line procedure so I have to park, cross traffic, get her from a certain spot and lead her back across traffic to our car. One day a couple of months ago, she decided she didn’t want to come with me. She started hitting and causing a big scene. She literally sat down and refused to come. I had to half drag her across traffic kicking and screaming and force her into the car, while the whole school watched. I was mortified. Seriously. One of my most embarrassing parenting moments. I have carried many a toddler having a fit out of a store, but an 11-year-old having a fit is a whole different matter. It was at that moment, once I collected myself in my car, that I realized the persona of perfect parent and wife was gone and frankly I didn’t care. It’s not who I am. I am not one who cares what people think, most of the time. I used to care, but when you have a conspicuous family you have to get to the point where you don’t care. I want people to know I am a real person. I am not super mom, and I don’t get it right all the time. In fact, lately, I have stunk it up when it comes to my kid’s school. I have missed all kinds of stuff and I just don’t care. I care about their education, I do, but I am just over caring about keep up appearances of being the mom that does everything and is super woman. I can’t do it. No one really can. So, to that end I am done with school. I am just over it. If that makes me a bad parent, them I am. I will do the bare minimum to get through the rest of school, and then do the happy dance on the last day. I am over the homework, projects, making lunches, washing uniforms and all of it. Good riddance school. Hello summer! I GET YOU!! Gabe and Nate are very self sufficient, but Todd prepping for EOGs is awesome because I only make him do his every other day math assignments and read a language arts EOG project book. That’s it. I am dropping him off a little early to get a bit of assistance from teachers but that’s because I’m done. I can’t take helping him anymore. It is so challenging. I really hope I am learning some things to help us next year…and in putting together a better 504. One that will really be effective. As far as PTA, I paid my dues. That’s it. If they want a food item dropped off for a teacher appreciation event, I send it with a kid. They don’t see me. I’ll make the special 5th grade completion ceremony for Nate and the Academy Awards because Nate’s singing, but that’s it. Forget anything extra. So, you are doing great just GETTING THEM TO SCHOOL! Take deep breath and dive into summer! Quite frankly, you just verbalized what the majority of moms are thinking! And I commend you for it! (Insert applause). You have also found the secret to surviving parenting…giving up the need to keep up appearances. Whether you have one child or 20, the challenges of parenting are difficult and wear you down. All moms need to cut themselves a little slack, seriously. Recently, I learned the importance of shrugging. When faced with a situation you can’t change or don’t have the energy to tackle, shrug. As one friend called it, “living the shrug life”. Some may deem this”not caring”, but that’s not it at all. It’s about surviving until you can make it to thriving. I applaud you for your honesty. Seriously, who can do all that? The thing that stuck out to me is that most all Mom’s (as Amanda said) have done the same thing. I even put mine in the car in her jammys and said change on the way. I’m done trying to get you out of bed in the morning. And about the homework, thats the key, it’s for THEM to do, not you. I went thru that trying to “teach” them and “help” them. In the end I said “Yall need to pay attention in class cuz this is for you to do, not me.” Again, I applaud you for all you do and are doing. Enjoy your summer!! Much Love, Anita.